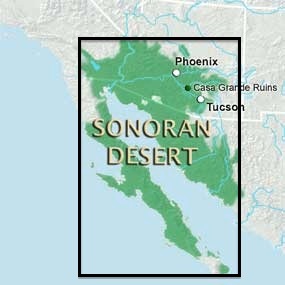 The Sonoran Desert spans much of Northwestern Mexico and parts of California and Arizona. 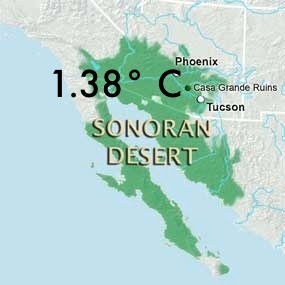 The best known cities north of the border are Phoeniz and Tuscon. 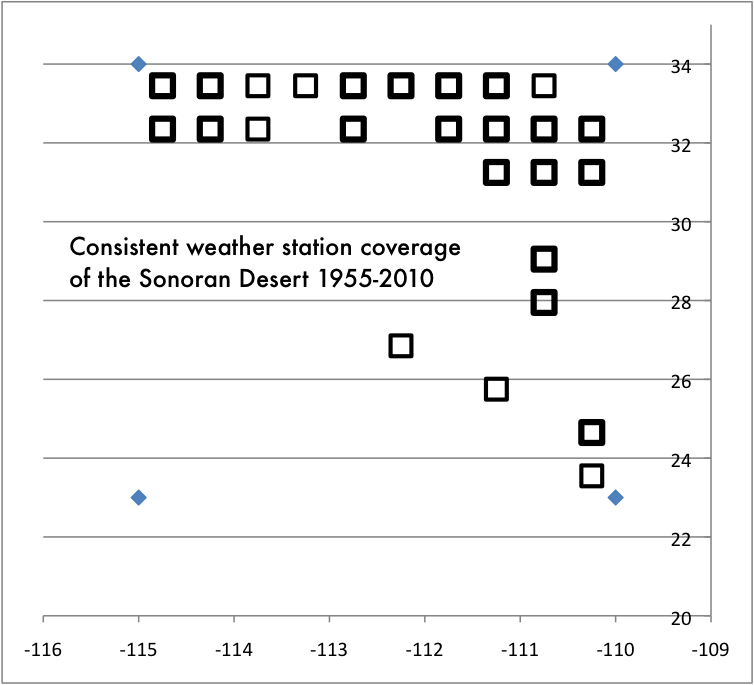 The coverage by consistent weather stations is much stronger in the United States than it is in Mexico. 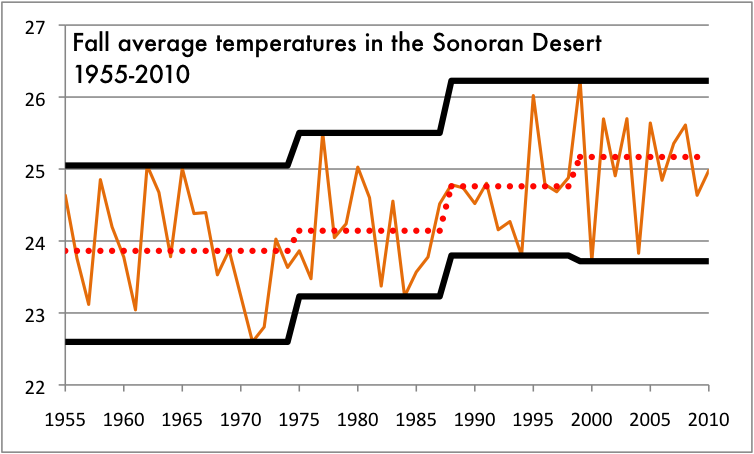 Those grid marks in the lower right hand corner are from the tip of Baja California. 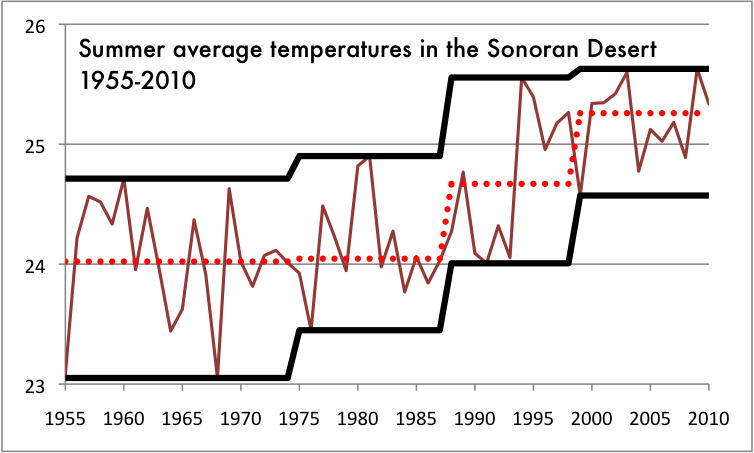 While the record high temperature for Winter average is now nearly 20 years old, the other ways of measuring - the median in the red dotted line and the coldest winter, marked by the lower black line - are showing marked increase. 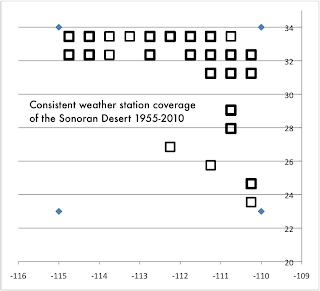 The Spring data is increasing using every measurement system shown here. 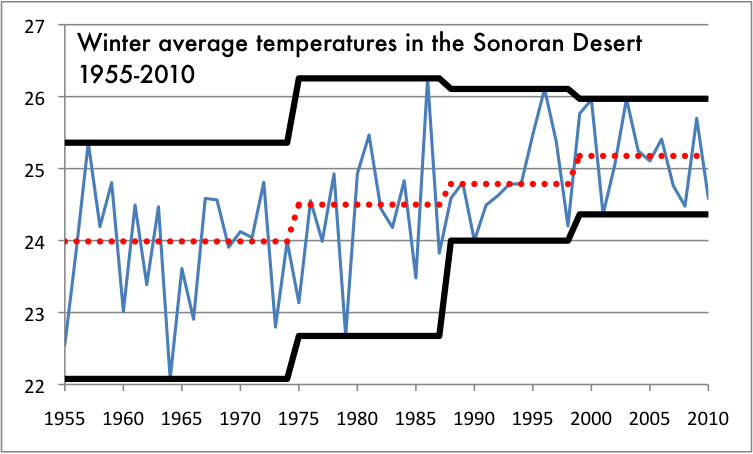 And the Summer is as well. 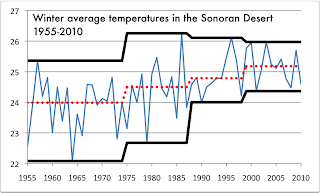 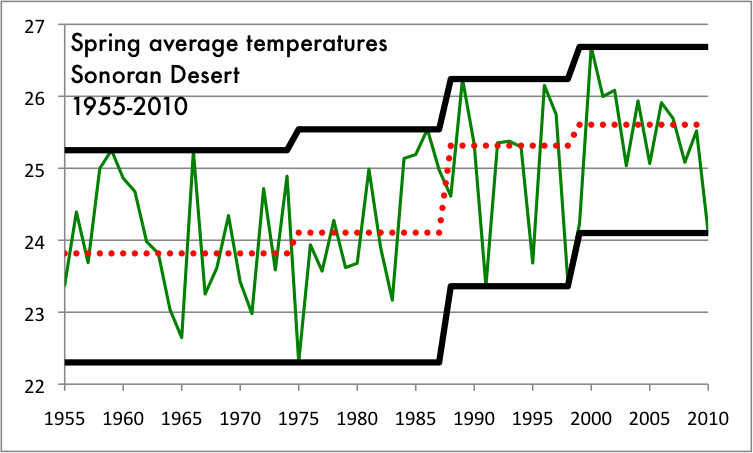 More than just steady increase, every season has shown a median increase from the 1955-1975 era to the 1999-2010 era of more that a degree Celsius, which is the simplest number that marks the Big Damn Deal cut-off point. 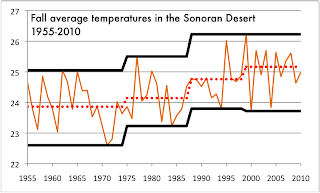 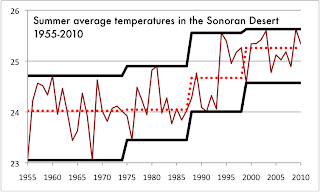 Average seasonal change in the medians of 1955-1975 to 1999-2010: 1.38° C.
The data says it's getting warmer but the trend is not currently on the upswing. 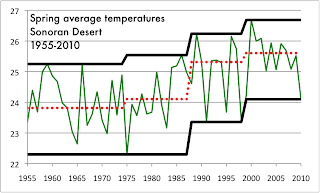 This is some good news but not a lot, as an increase of 1.38° C in 56 years is already fast enough to be considered catastrophic.